Career. After graduating from ESAG Penninghen in 1996, he learnt his skills from the biggest names in interiors. At Christian Liaigre he learnt the importance of detail, from his years of collaboration with Philippe Starck, he retained the art of staging. 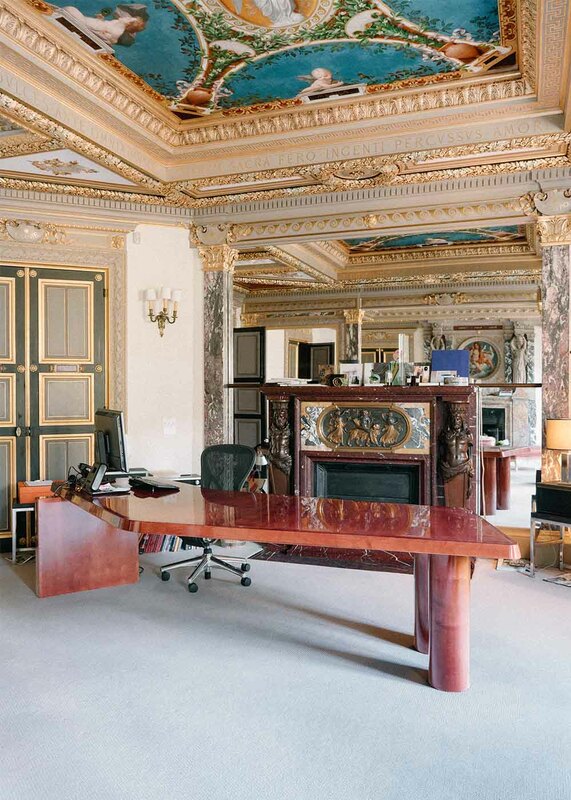 As soon as he founded his design bureau, Izeu, in 2002, he was asked to decorate the Chanel showroom and Coco Chanel’s apartments on rue Cambon. In 2004, Nina Ricci called on him to decorate her showroom on avenue Montaigne. More recently in 2012, he designed the stand for Cartier at the Biennale des antiquaires, a 250 square meter jewel box of geometric clean-lined panelling. Showstoppers. For his sense of light and staging as seen in ultra-luxury hotels, the Pullman in Cannes created in 2006, La Sivolière in Courchevel in 2009 where he brought together tones and materials, tradition and modernity. And again at the Hôtel du Louvre in 2013, and his transformation of the legendary Parisian night club Les Bains Douche into a hotel. What’s up. Tristan Auer recently won the Prix Versaille 2016 ‘Special prize Interior’ for Hôtel Les Bains Douches. As well as working on the transformation of the hotel Crillon, the rooms at the Cotton House, he completed an apartment in London, a home on the rue de Monceau and a mansion in Le Vésinet.